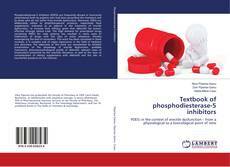 Phosphodiesterase-5 inhibitors (PDE5i) are frequently abused or incorrectly administered both by patients who had been prescribed the treatment and by those who do not suffer from erectile dysfunction. Moreover, PDE5i are deliberately added to phytotherapeutic products, respectively food supplements, indicated as an adjunct in the treatment of erectile dysfunction, to increase their efficacy, given that sildenafil has proven effective through clinical trials. The high demand for prescription drugs containing PDE5i for male potency has resulted in many cases of falsification of drugs with this class of active substance, thereby endangering the lives of consumers. This work has been conceived in these contexts, it is complex and of major importance in the field of medicine and pharmacy. The objectives of this book are represented by detailed presentation of the physiology of erectile dysfunction, available treatments, pharmacotoxicological profile of sildenafil, relevant cases of intoxications presented by the scientific literature, as well as the issue of contamination of dietary supplements with sildenafil and the sale of counterfeit products on the internet.